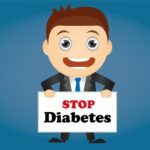 Come and learn how to prevent and reverse type 2 diabetes. This is an educational seminar which will empower you to take back your life! Sometimes just learning what is causing the rapid spread of this chronic disease will be enough to help you understand what you need to do to prevent getting this disease or to begin the process of reversing. WHEN: Begins September 10, 2018 and will meet once a week on Monday evening from 6-8 pm. The final night will be October 15, 2018. Come early to each session to have your blood pressure checked and your weight checked. WHERE: at Coffee County Administrative Plaza Conference Room, 1331 McArthur Street, Manchester, TN, 37355. COST: $50 for individual and $60 for couple. This will include all materials and tasty food samples. WEIGHT LOSS – Learn how to lose weight without being hungry. In fact, some participants state that by the end of the six-week seminar, they just cannot eat all the food! There are no special foods but rather, participants are able to eat good foods that provide healing to their body. NEUROPATHY – Learn how thousands have reduced or eliminated painful neuropathy pain. Previous participants right here in Grundy County have had complete relief of neuropathy – both pain and numbness. Their life has changed, and they are able to do the things they previously were unable to do. For more information and to pre-register for this seminar, call Melinda at 931-592-9189.